A dear friend of mine recently went to the hospital with chest pains. It turned out that he just had heartburn, thank goodness. 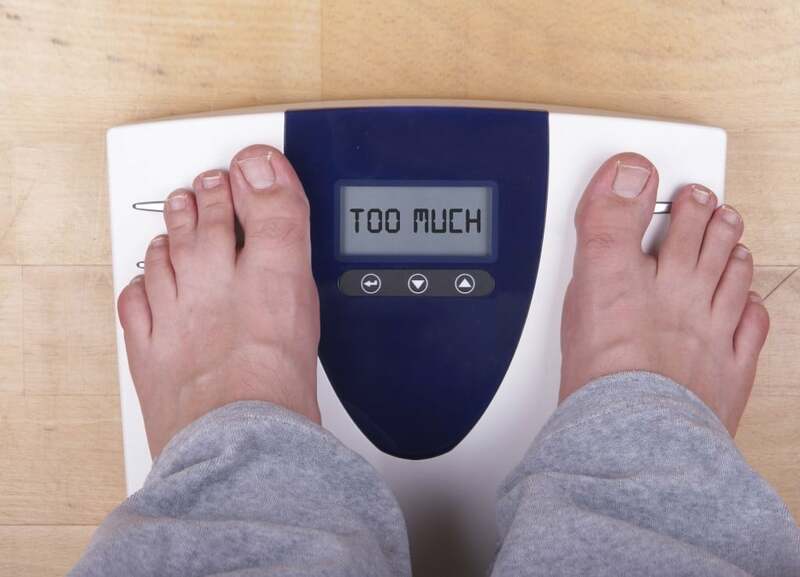 But nevertheless, people with concerns about their cardiovascular health or their weight are often given the same standard advice: eat a low-fat, low-cholesterol diet and get more exercise. While the advice to exercise is always good, the myth that eating saturated fat and cholesterol have anything to do with heart health or obesity is so pervasive that even people who should know better (like doctors) still spout this claptrap. Even the American Heart Association (AHA) recently revised its nutritional guidelines, increasing the daily recommendations for fat. “The science just wasn’t there,” says Robert Eckel, president of the AHA and professor of endocrinology, metabolism and diabetes at the University of Colorado Health Sciences Center. So if there is no evidence linking dietary saturated fat and cholesterol to cardiovascular disease and obesity, just what is taxing our hearts and thickening our waistlines? There are three types of fats: monounsaturated, polyunsaturated and saturated. Our bodies are mostly comprised of monounsaturated and saturated fats. 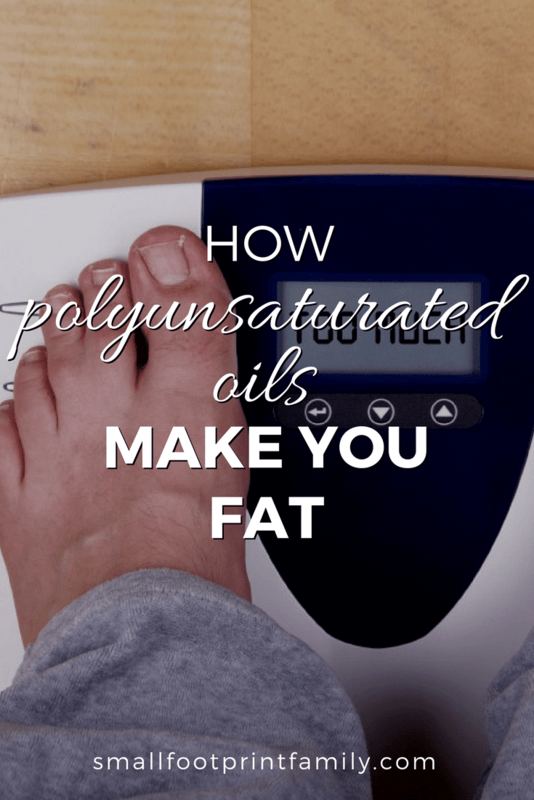 Only about 4% of our body fat is polyunsaturated. By consuming polyunsaturated corn, canola and soybean oils in almost everything we eat (if you eat the Standard American Diet), you are taking in lots of fats your body doesn’t know how to use. Unlike saturated or monounsaturated fats, polyunsaturated fats tend to be liquid even when refrigerated. They also go rancid very easily, particularly when heated. This rancidity causes lots of free radical damage in your body. In fact, the high-temperature, industrialized process of extracting polyunsaturated oils actually makes the oil go rancid! Food manufacturers then have to refine, deodorize and bleach these rancid oils to make them palatable. And then when you heat them (say, for cooking), these rancid oils become further oxidized, which causes even more problems—from cell membrane damage to wrinkles to arterial plaque build up. Another major problem with PUFA oils from corn, soybean, canola, cottonseed, sunflower or safflower is that they contain a large amount of omega-6 fatty acids. Animals and humans require both omega-3s and omega-6s in their diets to be healthy: The proper ration of omega-6s to omega-3s is 4:1, but most Americans eat a ratio closer to 20:1, which creates a host of problems in the body. Omega-6s are fats produced by seeds harvested in autumn, whereas omega-3s are produced by plants growing in the spring. Because our diet is so heavy in fall omega-6 fats, we are now eating a diet that is meant to fatten us up for winter, when weather is cold and calories are scarce. But today food is never scarce for the average American. The base of our food supply has shifted from leaves to seeds, and this simple change means our bodies are getting programmed to store more fat, leading to obesity and all its associated diseases. According to a recent article in Prevention magazine, omega-6s are slower and stiffer than omega-3s, and, they promote blood clotting and inflammation, the underlying causes of many diseases, including heart disease and arthritis. Omega-3s, on the other hand, promote blood flow and reduce inflammation, which may prevent things like heart disease. But because they’re in constant competition to enter our cells, if your diet consists of too many omega-6s, your body will be deficient in omega-3s. And omega-3 deficiency is what’s been happening to us as we’ve been eating more and more seed fats in the form of soybean, canola, corn, and other vegetable oils. Consumption of corn, canola and soybean oils has more than tripled in the last 100 years. A century ago, nearly all fats eaten in the U.S. came from animals, which are primarily saturated fats. That’s how it’s been for humans for millions of years, with the exception of seasonal nuts and oily seeds for some people in some parts of the world. A century ago, heart disease, cancer, diabetes and obesity were also extremely uncommon in this country. In fact, the first heart attack in recorded U.S. history occurred in 1912, less than a decade after the widespread introduction of polyunsaturated yellow seed oils. Over the past century, heart disease has risen in tandem with our increasing intake of omega-6 rich soybean, corn and canola oil, according to the American Heart Association (AHA). So have depression, arthritis, obesity, insulin resistance, and many cancers. While other dietary factors such as increased consumption of calories, trans fats, and sugar undoubtedly contribute, our essential fatty acid imbalance is a key player in most of these illnesses. Over the same 100-year period that omega-6s became so dominant in our diets, omega-3s began disappearing from our food supply. Cows used to be raised on grass and other greens, producing meat, milk, and cheese with high concentrations of omega-3s. These were the animal products that our grandparents and great-grandparents grew up on, before industrial feedlots replaced family farms. Now these livestock are fed corn and soy, and their tissues are swamped with omega-6s. Chickens, too, used to eat grass and grass-eating bugs. Those chickens produced eggs and meat that were high in omega-3s, but now they’re fed full of omega-6-rich corn and soy too. So, it’s not that eating animal foods is, in and of itself, bad for your health; rather it is feeding an unnatural diet of corn, soy and pharmaceuticals to livestock that makes eating these foods less healthy. In addition to rancidity, oxidation and an overabundance of omega-6 fatty acids, yellow seed oils have a host of environmental problems too. Yellow seed oils are brand new to humankind, and they only exist because the chemical processes and machinery invented during the industrial revolution made it possible to extract them. Today, the majority of these industrial oils are manufactured from genetically engineered corn, soybeans, and rapeseed (canola) which have been heavily sprayed with Round-up (glyphosate) or atrazine, highly toxic, endocrine-disrupting herbicides, and other toxic pesticides. Then these oils are extracted and refined using carcinogenic hexane (two carbon atoms short of octane—as in gasoline! ), and are then finally bleached and deodorized to disguise their rancidity. The final product is not only essentially bad for you, but it is also contaminated with traces of several highly toxic petrochemicals. All around, these oils are evil stuff to be avoided at all costs. 1. Avoid omega-6 oils. Read the labels on packages carefully and severely limit or avoid corn, soybean, canola and cottonseed oils, and all foods made with them. This includes fried foods from restaurants, and most snack foods like chips, popcorn, etc. Read your labels carefully: Commercial baked goods—such as crackers, cookies and cakes—and many fried foods, such as doughnuts and french fries—may contain hydrogenated trans fats. Shortenings and some margarines can contain hydrogenated trans fats too. These fats are incredibly stable and have been enjoyed safely by humans for thousands of years. They almost never go rancid and many can last for years stored in your pantry. 4. Eat more greens. Leafy greens have a better balance of omega-3s to omega-6s than most seeds and grains (though flax and hemp seeds are notable exceptions). Omega-3s live in leaves, flax and hempseed as the omega-3 ALA (alpha-linolenic acid). Animals (like us) can convert ALA into even more dynamic omega-3s: EPA and DHA, which are essential for heart and brain health, especially in children. This conversion is very inefficient in humans, however, and that’s why the next two steps are so important. This video from Food Renegade is about healthy fats and how to use them. High Cholesterol and Heart Disease – Myth or Truth? Avocado is a source of Omega-6 and you promote it here? Absolutely. A typical avocado oil has 76% monounsaturates (oleic and palmitoleic acids), 12% polyunsaturates (linoleic and linolenic acids), and 12% saturates (palmitic and stearic acids). As far as cooking oils go, it is not a significant source of polyunsaturated fat, and it can be easily used in place of highly polyunsaturated oils like canola. Thank you for this article! I really did learn a lot about the seasonal oils. Could you also address the best solutions for vegans? I would consult with a nutritionist, as I am unaware of any plant sources for EPA/DHA omega 3s. Your body has to have the enzyme to convert ALA to those omega 3s. I’d like to get your thoughts on nut oils, specifically almond, walnut, macadamian and avocado oils. I don’t know their smoke/oxidation points. I use almond a bit for sauteing, ie eggs, and walnut for baking. Also I would like to know if butter is ok to heat to scramble eggs. Lovely article by the way, very lucid and easy to understand. Thanks, Autumn! Most nut oils are very high in Polyunsaturated Fatty Acids (PUFA) like Omega 6, which can be inflammatory if not balanced with enough Omega 3 in the diet. (You get Omega 3s from fish, seafood, grassfed animal foods and to a lesser extent, flax seeds.) PUFA oils go rancid (oxidize) very easily and typically have very low smoke points, usually below 200 degrees F. They should be kept in the fridge. I would not cook or bake with nut or other PUFA oils at all, rather only use them for cold applications like salads or mayonnaise. Olive and macadamia nut oils are a little more flexible because they are mostly monounsaturated oils (MUFA), but I would only cook with them under very low heat. Butter, ghee and other saturated fats like lard, tallow or coconut oil have higher smoke points, are shelf-stable, and can be used for sauteeing, grilling, and other high heat applications. Butter has the lowest smoke point of the saturated fats, so it will work well for eggs and baking, but not for high heat sauteeing. Best to you! Hello, I’d like to get this right. What happens if you cook at hight heat with these oils which have low smoke points? Do they get more unhealthy? I’ve also always wondered what happens when you reuse oil which you have previously used for sauteeing. All polyunsaturated vegetable and nut oils are susceptible to heat damage—much more so than the whole foods from which they were pressed or extracted. But in the case of delicate oils like extra virgin olive oil or walnut oils, the susceptibility is especially great. Exposure to air, heat, and light causes these oils to oxidize, become rancid, and form free radicals. Rancid oils are a major source of destructive free radicals in our diet. Polyunsaturated oils, which are missing several pairs of hydrogen atoms, are very unstable and highly reactive to oxidation. Polyunsaturated oils are so vulnerable that even at room temperature and in subdued light oxidation can occur inside the bottle. Virtually all polyunsaturated oils sold at grocery stores have become rancid to some degree before you even bring them home. Because the oils have been highly refined and deodorized you can’t smell or taste anything, but the free radicals are there. After all, they were deodorized to cover up the rancidity! If you store the polyunsaturated oil in the cupboard at room temperature, the oxidation process continues. When you open the bottle and expose the oil to oxygen in the air, oxidation is accelerated. If you leave it out on the counter where it is exposed to light, oxidation progresses even faster. To make matters worse, if you use the oil in cooking you greatly accelerate the rate of oxidation and free radical formation. Always store polyunsaturated vegetable and nut oils in the fridge and use them only for low heat or salads. The only fats you should use for moderate to high temperature cooking are saturated fats like lard, butter, and coconut oil. You can “recycle” saturated fats for more than one use if the oil is free of food bits that will spoil in it. Good luck! Extra virgin olive oil is the best choice of olive oil because most other olive oils are cut with poor quality vegetable oils, or have been put through industrial and chemical processes that leave the oil rancid in the bottle. Olive oil is a very sensitive oil and is easily destroyed when exposed to heat and light, which is why it is not recommended for high heat cooking and why it is stored in dark bottles or cans. A cheap, traditional, and healthy alternative to olive oil would be lard, which is very high in the same monounsaturated fats that olive oil contains. Tallow is also a good choice, especially for high heat cooking or frying. This is a wonderful article. I’m going to print it off for my mother since her doctor just told her to do everything your article says NOT to do. She won’t listen to me but maybe she’ll listen to your sound advice. As well as the excellent links provided above people interested in finding out more about the latest research findings on omega 6 may like to follow this site. Evelyn Tribole does a very good job of explaining what the research is actually saying. This site is very much in line with The Devils Fat website you link to above. Wow, what a great post – and I learned something new: about the seed oils being fall-harvest and meant to fatten us up for winter … wow, I had to read that paragraph about three times as I (slowly) took it in ! You might want to reconsider your recommendation of palm oil. Cultivation of palm oil is destroying rain forests around the globe and driving the orangatan to extinction. I’ll stick with coconut oil. Thanks for mentioning that. I should have been more complete in my recommendation. Although I could write a whole post on palm oil and sustainability, suffice it to say that palm oil cultivation is controversial, and like corn or soy, often grown in unsustainable ways. If you use palm oil, it is important to choose a brand that is certified sustainable by the RSPO.